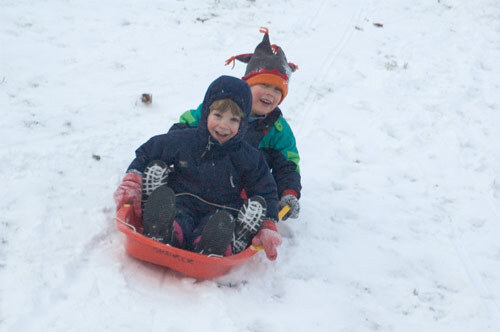 David and Andrew Henry ride tandem. 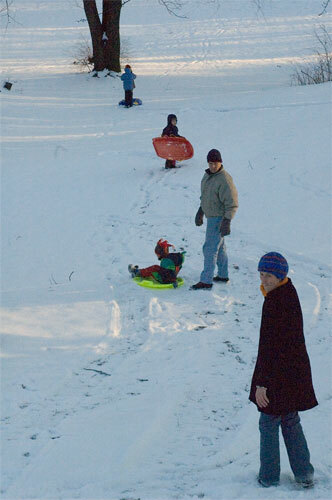 David speeds to the finish. 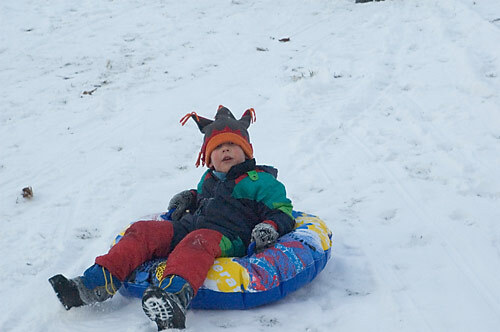 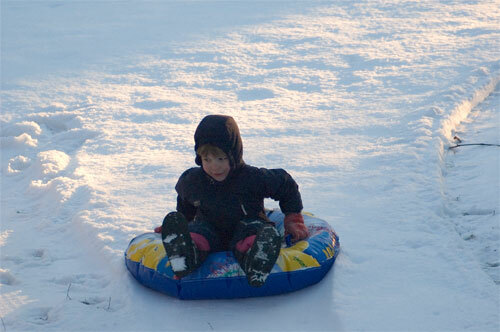 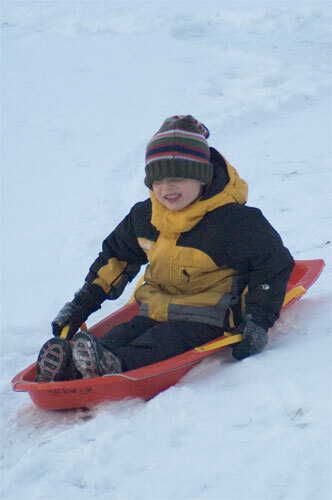 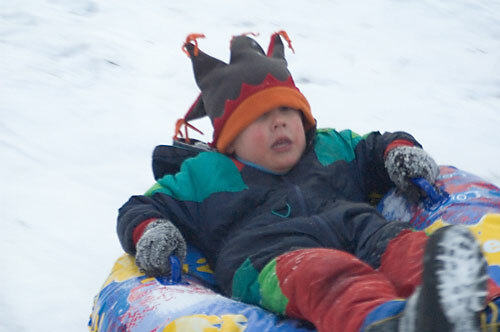 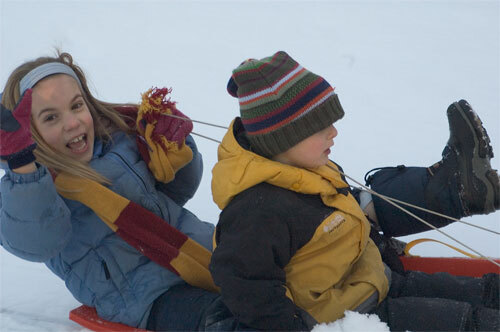 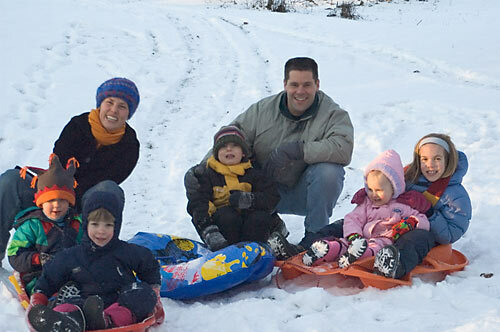 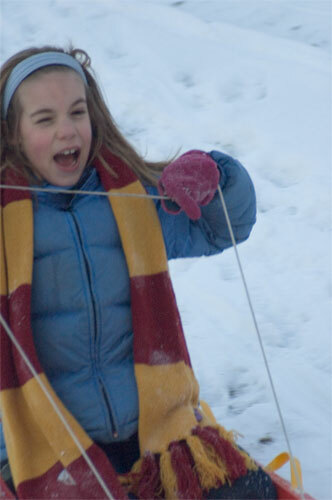 It took Ben a while to get used to the idea of sledding. 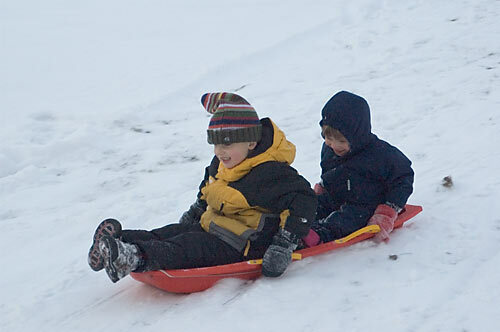 Ben and Andrew Henry race down the hill on the orange sled.